THIS ULTIMATE ENTERTAINMENT HOME WITH A SPECTACULAR "BACKYARD OASIS" OVERLOOKING THE 7TH GREEN, RIVALS ANY 5 STAR HOTEL! Luxurious "backyard living room" enhanced by a sparkling pool surrounded by luscious year round landscaping, hand carved fire bowls & herringbone brick decking! Incredible porch + commercial outdoor kitchen equipped with granite counters/bar, fire pit & "top of the line" Fire Magic grill, warming drawer, burners & fridge! 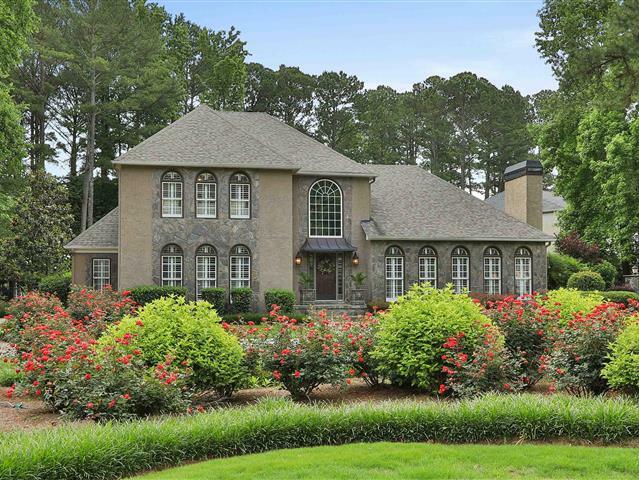 Step inside to experience "pure elegance" including over 4000 sq ft of superb quality, grand room, sun room, wet bar, chef's kitchen, and outstanding owner's retreat with separate sitting area/office + spa bath, all on the main level! In-law suite, 2nd master or rec room + generous bedrooms upstairs too! PERFECT!